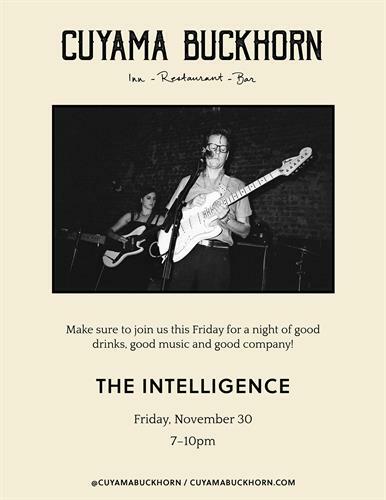 Live music at the Cuyama Buckhorn with The Intelligence! The Intelligence is a lo-fi indie post punk rock band from Seattle, founded by Lars Finberg, drummer of the A-Frames. Finberg played since the late ’90s in other bands with vocalist/guitarist Erin Sullivan, and bassist Min Yee: the Dipers, and theUn-NaturalHelpers. A Frames and the Intelligence started in 1999. Both acts released singles on Dragnet Records, the indie label Finberg runs with A-Frames members Erin Sullivan and Min Yee.